High level, academic language and concepts are used but put into a story or narrative format. 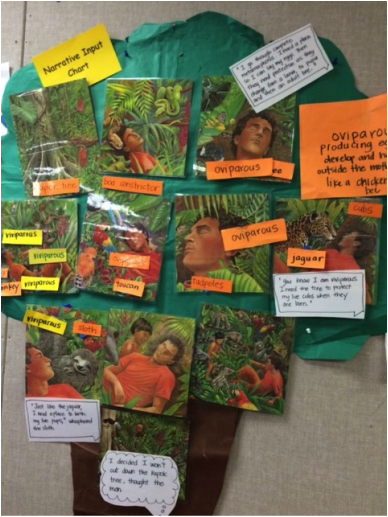 The story format allows for increased comprehension of academic concepts. Provides a visual retelling of the story. The story can be adapted from a familiar story pushing in social studies or science standards. Create a background for the narrative that demonstrates the setting. Suggest laminating the background. Read the narrative all the way through for enjoyment. Review with word cards, using key vocabulary from story. Review story with story map.